From Costa Rica to Cameroon, women are the primary users of many natural resources—playing essential roles in forestry management, sustainable conservation, and climate change adaptation and mitigation. Globally, women’s heavy dependence on natural resources and its associated products also means that they often have more at stake than men when these resources are degraded or access to them is denied. Research shows that when it comes to solving complex problems through innovative solutions, such as for adapting to and mitigating climate change, a diverse group of competent performers almost always outperforms a homogenous group by quite a large margin. The more diverse stakeholders are, the more likely they will still succeed in the face of uncertainty and ambiguity because each person puts things into categories based on his or her background and experience. 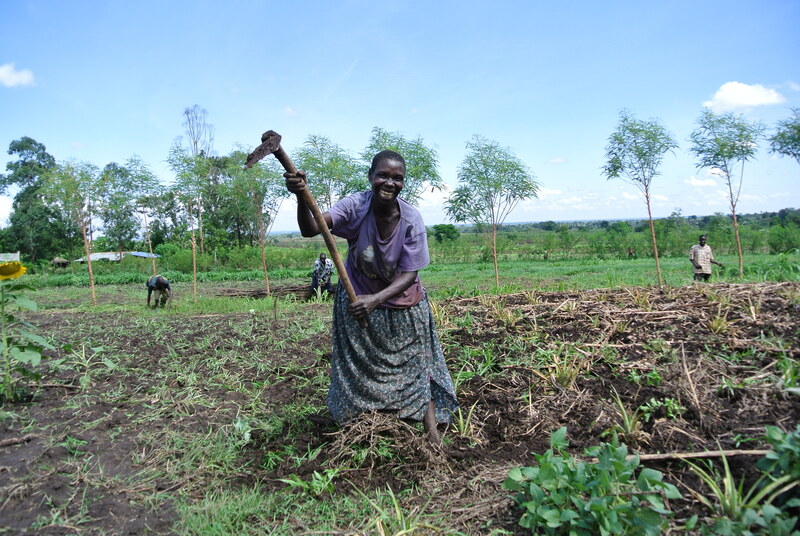 For example, in the context of climate change forest related initiatives, it can mean the difference between a woman as vulnerable and immobilized or as an empowered agent of change. Therefore, we need to move towards being not only gender-sensitive, but gender-responsive. Being gender-responsive means that rather than only identify gender issues or work under the “the do not do harm” principle, a process will substantially help to overcome historical gender biases—to “do better,” so to speak—in order for women to truly engage and benefit from these actions. In addition, gender-responsive planned actions should integrate measures for promoting gender equality and women’s empowerment, foster women’s inclusion and provide equal opportunities for women and men to derive social and economic benefits. With this approach, women and men’s concerns and experiences equally become fundamental elements in the design, implementation, and monitoring and evaluation of natural resource-related projects and policies. Being gender-responsive means going beyond acknowledging gender gaps and really doing something about the discrepancies. 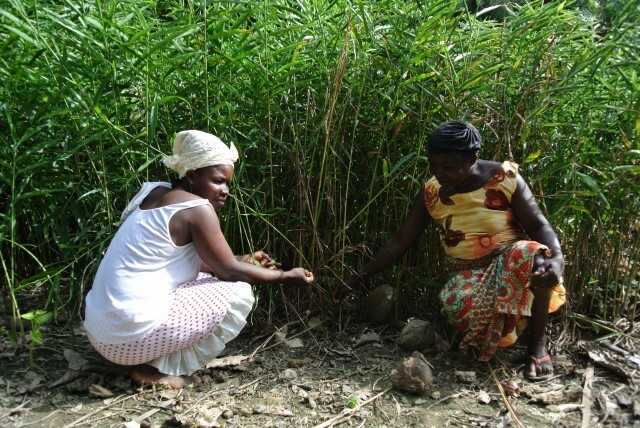 A wonderful example of this is in Cameroon, where the African Women’s Network for Community Management of Forests (“REFACOF”) is aiming to shift gender norms by creating a network of women involved in sustainable forest resource management. REFACOF strives to make concrete, meaningful, and effective contributions to forest governance in order to influence national policies and international frameworks regarding women’s rights and tenure in member countries. Under African customary laws, women seldom own or inherit land, and the only way they can access it is by marriage or through their male children. Through its advocacy work, REFACOF has proposed articles and forest policies that include women’s interests and ultimately will secure women’s rights in forestry and natural resource management in the coming years. REFACOF has realized some impressive results, specifically in regards to its remarkable progress in reforming national land tenure laws through the lens of gender and REDD+ (Reducing Emissions from Deforestation and forest Degradation) by presenting women’s legislation for land tenure reform and using REDD+ as a window for opportunity. Now in Cameroon, 30-40 percent women are included in decision-making positions at the village, district, regional, and national levels—contributing toward integrating gender into REDD+ policies and planning, as well as other processes. Incredible indeed: if environmental initiatives move beyond acknowledgement and sensitivity to fully embracing and responding to the principles of gender equality and women’s empowerment, they can have an unprecedented impact. Another way we can become more gender-responsive is by gathering and keeping track of quality data. Reliable sources of information can measure advances in realizing gender equality, environmental conservation and sustainable development At GGO, two years have passed since the launch of the pilot Environment and Gender Index (EGI) which made accessible a wealth of data on variables measuring progress towards gender equality and a healthy environment. The EGI team has continued to compile datasets and publish reports by delving into case studies and new data, and is working towards expansion of available data to empower countries to achieve the Sustainable Development Goals. Recently, the EGI team conducted surveys assessing whether or not gender considerations, as well as gender focal points, are being included in national-level policies and programs across various environmental sectors and ministries. This data shows that of 26 survey responses, only seven nations indicated that their ministry or agency of forestry has a formal gender policy, and respondents from 10 nations indicated that their forestry ministry or agency incorporates gender considerations into its policies and programs. Of 65 survey responses, 17 nations confirmed that their ministry or agency of forestry has a gender focal point. This research makes clear the gender gaps that persist in many nation’s policy and decision-making structures, in addition to helping the EGI team measure progress of nation’s commitments to gender mainstreaming in the environmental sector by identifying formal gender policies and gender focal points within environmental ministries or agencies. This “barometer of inclusion” will also move us towards being more gender-responsive, especially in relation to the needs of governments and NGOs that are increasingly using monitoring and evaluation tools to effectively utilize international funding mechanisms. These are just a few small examples of what it means to move beyond being gender-sensitive and towards being gender-responsive. Building on these insights into the role of women in nature-based livelihoods and natural resource governance structures, supporting the inclusion of women in multi-stakeholder processes and giving attention to their interests in national strategies is imperative. It’s time to do more and do better—ignoring the gender dimension in environmental conservation and natural resource governance is not an option. The loss of our ecosystems will have a gender-differentiated impact that could jeopardize the livelihoods of both women and men around the world. Gender in National Environmental Policies & Programmes: EGI brief: A supplemental dataset and analysis. August 2015.